Dried English Lavender has long been prized for it's genteel and refined scent. We tuck it in our hope chests, and hang it in closets of carefully folded linens. 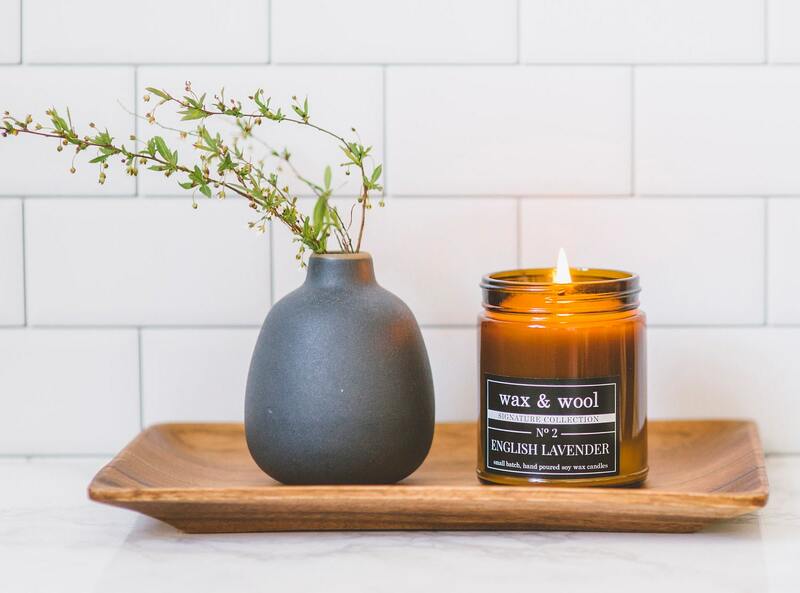 It's the scent we turn to for comfort and for relaxation, and it's here in the form of a beautiful candle to fill your home with exquisite fragrance. 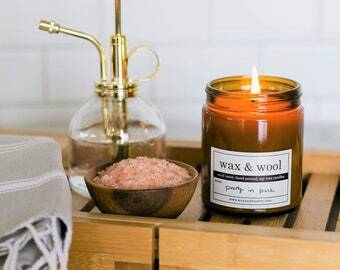 Find out why this is the scent we keep bringing back! A perennial favorite. 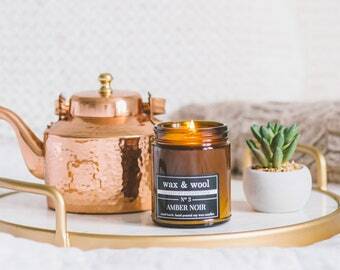 Modern with a nod to the past, the amber jar is our favorite candle container. It's unique without calling attention to itself. Black lid included. 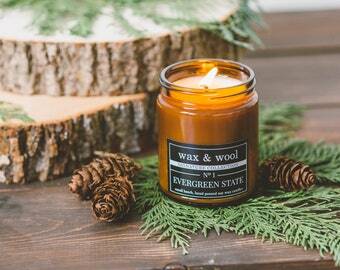 Shipping is a flat $6 for the first candle, no additional charge for additional candles! 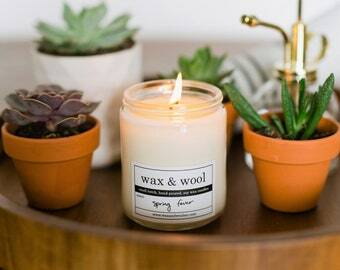 My soy wax candles are simple and beautiful. 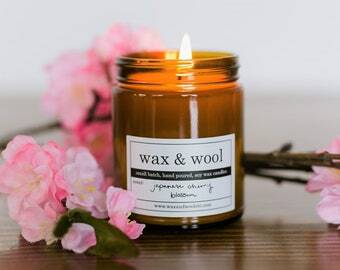 I only work with pure white soy wax--never any dyes--and I only use cotton wicks and phthalate and paraffin free scents and essential oils. My goal is to make a beautiful candle that can blend with any room and any décor. 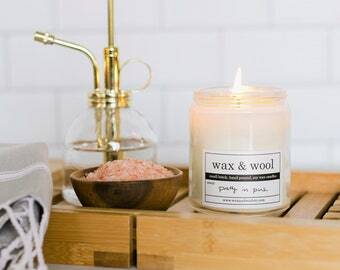 Soy wax allows for a very clean burn, leaving a lovely, reusable container behind at the end. For best results, let candle burn at least two hours before extinguishing. This will allow the wax to melt all the way to the edges and result in a cleaner, more efficient burn. 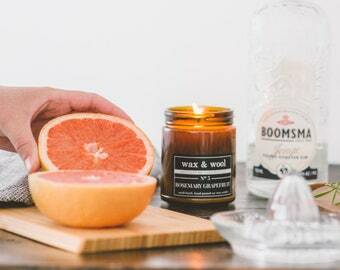 Trim your wick before to approximately ¼” before lighting your candle. 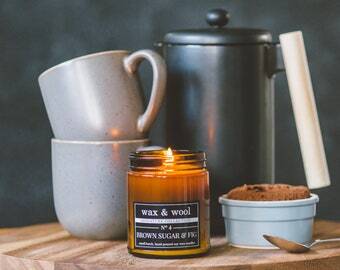 These candles smell amazing, great customer service, my order shipped super quick! Super fast shipping. 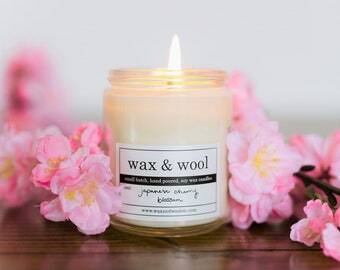 Another lovely scent from Wax and Wool! My all time favorite candle. Thank you!